In 1916, during the First World War, an airfield was established at Bircham Newton, eight miles west of the town of Fakenham in the west of the county of Norfolk in England. The site was a base for the largest British bomber of the time, a warplane which would have carried out bombing missions against Berlin had the Armistice not intervened. 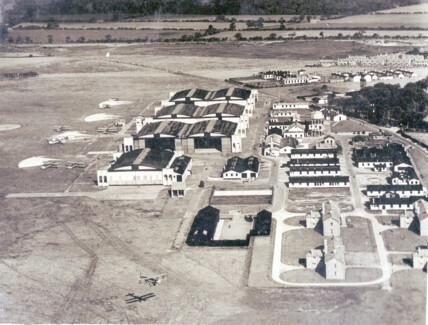 The airfield was equipped with an aircraft repair shed and three double bay general service sheds. By 1937, just two years before the start of the Second World War, these had been demolished. But, as the need to prepare for hostilities increased, the re-development of the airfield began under the control of the Royal Air Force’s No 16 Group. Two satellite airfields were also opened at nearby Docking and Langham to accommodate RAF Coastal Command aircraft and their pilots who were to carry out maritime patrol duties. For more details of the Bircham Newton, the expansion of the airfield’s facilities included the construction of two squash courts. One of the squadrons based at Bircham Newton was 206 Squadron RAF. It had been re-formed in 1936 with Avro Ansons as part of the new RAF Coastal Command, initially as a training squadron. In the early years of World War II, the Squadron managed to shoot down a Heinkel He 115 floatplane and attack a German submarine before being re-equipped with the Lockheed Hudson in March 1940. These American-built light bombers used to fly over the North Sea carrying wooden lifeboats to be dropped to RAF pilots and flight crew who’d ditched their planes. But some time during 1940, one particular flight ended in tragedy, when a Lockheed Hudson plane crashed on the landing strip at Bircham Newton killing three of its crew members. During their off-duty hours, one of the favourite pastimes of the three colleagues, and close friends, was playing squash. Not only are these three man suspected of haunting the squash courts, the girlfriend of one of them is also thought by local residents and visitors to the site as contributing to the ghostly presence felt there by many. As for her identity, she is rumoured to be a Women’s RAF officer who had been smuggled on board by her lover to enjoy the ill-fated flight. The three crew members, so it’s said, often return to the squash courts at the old base to play their favourite sport. The sounds of a squash match in play have been heard echoing around the completely empty building, and an apparition sighted of one of the missing men, dressed in an officer’s uniform. When these ghostly occurrences were first experienced is unclear. The base itself closed in 1966 and the site was then occupied by the UK Construction Industry Training Board. The runways were decommissioned, but the majority of the buildings on the site, including some hangars and the control tower, remained in use. As did the squash courts. But what is known is the story of what occurred when a Japanese TV crew was filming a documentary at the old air base over 30 years later. During filming at the squash courts, members of the crew not only saw one of the court doors slam shut when there was no breeze, but also recorded a woman’s voice, speaking softly. Accompanied by members of the Anglia Society for Paranormal Research, the crew was also involved in capturing an image of what appeared to be of a man in RAF uniform embracing a woman. Other evidence collected included a recording of the sounds of a squash match on an empty court. Other strange occurrences have been reported by people driving along the main road passing through Bircham Newton. When passing through the centre of the base, a loud echo can be heard which appears to come from underneath the road. It’s thought that the echo originates from a lost underground tunnel used for shelter by air crew and airfield workers during raids on the base itself. Another haunting stems from the story of a drunk driver. It is believed that during World War II a car full of drunken pilots crashed into a large aeroplane hangar, killing the driver and his passengers. It is said that the ghosts of these men, who died during the Second World War, but not on active duty, still roam the base today.